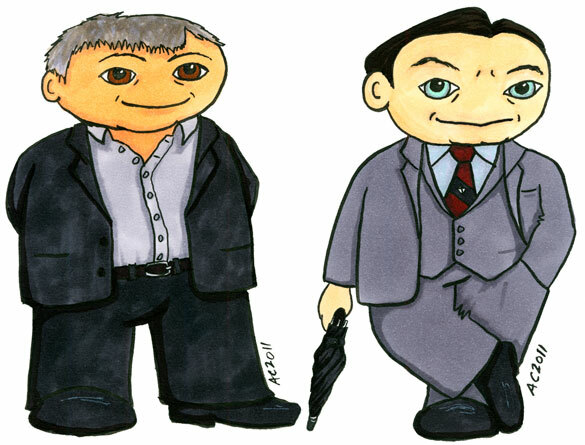 I’ve been trying to give my weebles a little more life, so I took on the challenge of drawing Mycroft Holmes leaning smugly with his umbrella, and the put-upon Detective Inspector Lestrade, both from the 2009 BBC Sherlock. I also made judicious use of photographic references, which I think really captures the features of these actors – it’s excellent practice for making clients into cartoons and vice versa. A year of working to put other people’s faces into cartoon form has really improved my grasp on what features add the most character.